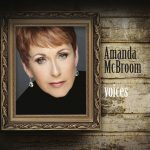 Amanda McBroom has been called “…the greatest cabaret performer of her generation, an urban poet who writes like an angel and has a voice to match.” Her name first came to the attention of the music public when Bette Midler’s version of Amanda’s song THE ROSE hit number one all over the world in 1979. But it was Amanda’s performance of her own song on the Golden Globes (she won), Grammys (she didn’t) and The Tonight Show that launched her career as a singer as well as songwriter. Find out more about Amanda McBroom by clicking here.